The ubiquitous tile-clad box dormer associated with so many loft conversions isn’t to everyone’s taste, but dormers are so much more than this. They play a really important role in creating space on the inside and they can – with a little sensitive design – add attractively to the exterior. 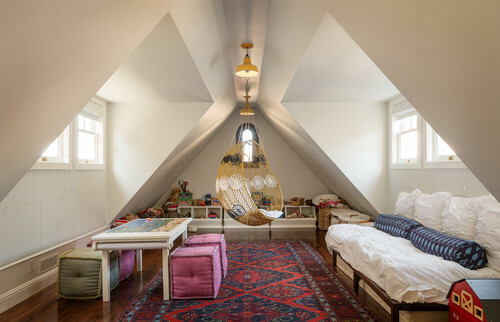 The principle function and purpose of a loft dormer is to create daylight and headroom in a sloping roof space. 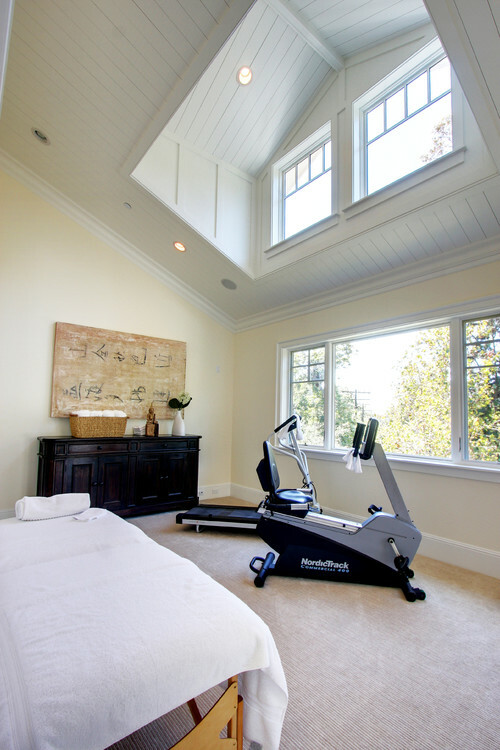 By projecting outwards, space that would otherwise be beneath the low part of a pitched roof can be brought into usefulness. This means an otherwise uninhabitable space can be transformed into a new bedroom, bathroom, study or living area. In this conversion, dormers have really opened up the loft space. Here, you can see the original gable (where the bath is) with skylight windows. But it’s the box dormers positioned either side – you can see one opening up on the left – that have created enough space for the bedroom to this en suite. Just as there are many and various types and shapes of roof, there are many and various types and shapes of roof dormer. 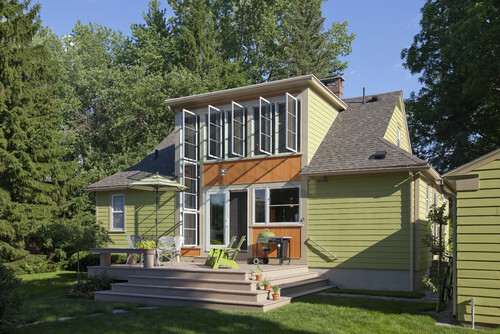 A dormer is essentially an extension out from a roof slope (or slopes), usually with a window added. It can be large or small, have a pitched or flat roof and, depending on permissions, can be added to any slope of a roof. People often think of dormers as a modern thing, but in fact they’ve been used on roofs for centuries and, before the invention of the roof window, were really the only way to bring daylight into a loft. Frequently, dormers brought light and ventilation into small roof spaces where servants were accommodated, so it’s not unusual for the windows and dormers themselves to be small in scale. 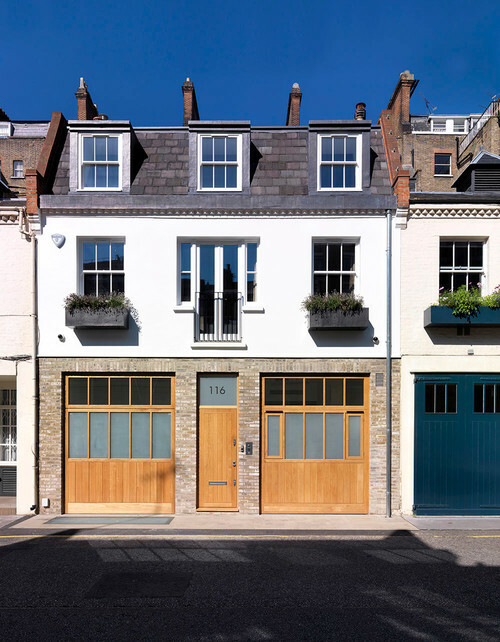 Planning departments (when permission is required) often stipulate that dormers should be no wider than they are high, reflecting this traditional small scale. 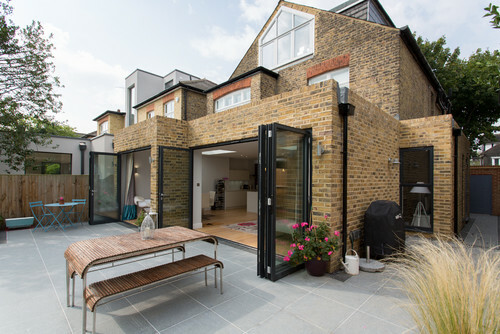 Dormer extensions aren’t always as beautiful on the outside as they are space-expanding on the inside, but, when designed sensitively, they can make a positive contribution to a roofscape. Many planning departments much prefer pitched-roof dormers (as in the previous image) to flat-roofed ones, as here, but flat-roofed dormers can be attractive and there’s plenty of historical precedent for both types. In particular, the use of small-scale, lead-clad, flat-roofed dormers can add beautifully to the proportions of a townhouse. Dormer windows are often used by designers and developers alike as a device to incorporate an extra floor of accommodation without the building feeling so high on the outside. We tend to ‘read’ the scale of a building from the outside by the level of the eaves – in this image, we ‘read’ a two-storey building with a single-storey side extension. In fact, it’s a three-storey building with a two-storey side-extension. Particularly when combined with a mansard roof (as with so many London mansion blocks), this can be a very effective downscaling device. While dormers can help to scale an elevation down (as mentioned above), they can also be used to scale one up. In this case, the face of the dormer has been built in the same plane as the elevation, cutting across the eaves line and creating a much more prepossessing elevation than if the dormer were simply sitting on top of the roof slope. In most areas, dormer roof extensions can be added without a planning application, working within the Permitted Development (PD) rules. There’s a number of criteria within which you need to stay (height, volume, set-back, orientation and so on) and for several years now designers have been pushing the boundaries of what can be achieved within PD to stunning creative effect. Rather than forming a dormer entirely as an extension of the roof volume, in some cases it can be possible to cut the face of the dormer below the line of the original roof slope. 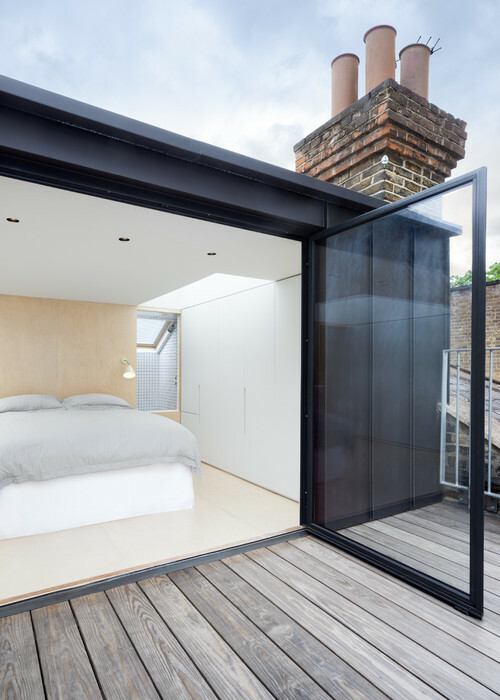 This means the windows can be larger than would otherwise be possible and it can also create external floor space that can be used as a roof terrace or balcony. Be aware that any such kind of balcony would not be within the criteria of PD. 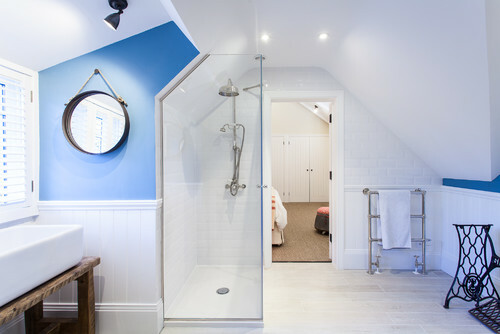 The positioning of the staircase can be the most crucial design move in the arrangement of a new loft conversion. As a stair has (by regulation) to arrive on the top floor with a certain minimum headroom, it can sometimes be the case that the top of the new staircase takes up the best of the roof space and the new room(s) have to squeeze around it, undermining the whole purpose of the exercise. With the careful placement of a dormer to allow headroom on the landing, the new stair can arrive off to the side, allowing the best space for the new loft accommodation. You don’t need to do a conversion of the loft space to warrant a dormer window. 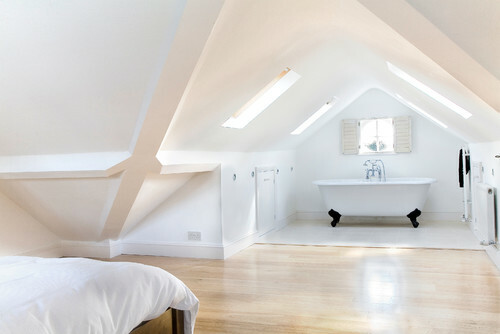 Often, even if there isn’t enough height to do a full loft conversion, opening up the loft space to the room below can create a wonderful feeling of height, and installing a dormer will provide additional daylight from a very high angle, creating a dramatic interior space. 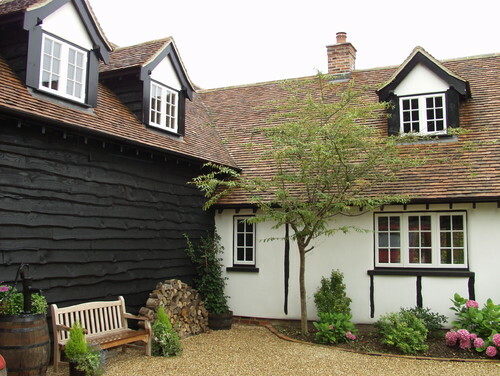 When the ridge of a pitched roof runs from the front to the back of a house, it can often be possible to build a pair of box dormers opposite each other on the roof slopes, resulting in a much more usable space. 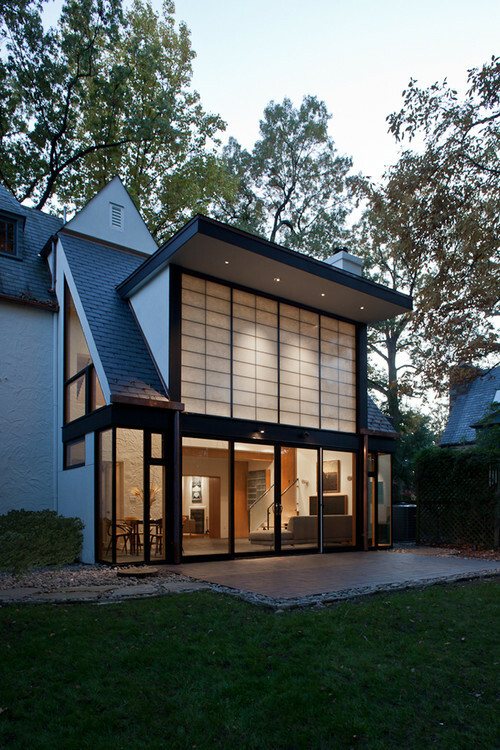 This creates the opportunity to bring in daylight from all sides, as well as some interesting symmetrical geometry.